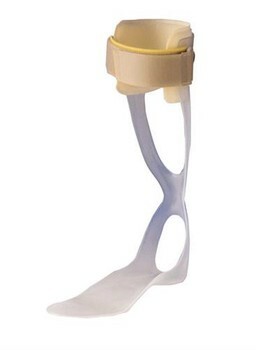 This AFO aids in swing phase toe clearance and reduces plantar flexion impact in early stance. Its thin-walled polypropylene construction has been optimized for increased resilience. The full sole plate provides a more precise guidance for the entire foot as well as enhanced pressure distribution. Thermoforming and machine grinding may be used to custom fit the orthosis to each individual. This model is notable for its minimal weight, high quality, and effective function. Available for shoe sizes 35-37, 37-39, 39-41 and 41-44. Application: The Ankle Foot Orthosis is only to be used for the orthotic fitting of the lower limb.